Define Targets, Analyze Actual, Make Corrections & become more productive. Target module enables entrepreneurs to generate peak performance and make their team more productive. Yearly and monthly turnover targets definition option for Sales Person / Customer / Area / City / State / Sub Group / Product / Product Group / Brand / Category along with its graphical variation reports helps you compare actual on monthly basis and make necessary corrections to improvise on performance. Target module helps entrepreneurs define individual yearly/monthly turnover targets for different entities of business like Sales Persons, Customer, Account Group, Sub Group, Area, City, State, Country, Product, Product Group, Category, Brand, etc. A graphical variation report shows you entity wise comparison of targets against actual on monthly/over all basis in order to analyze gaps using which necessary corrections could be made to improvise on team productivity and performance leading to more profits. MaxxERP is a beautiful online targeting management software. Its very simple & easy to use targeting software over the cloud. Being a Web based target software makes it accessible anywhere over internet. MaxxERP is the best targeting software system that can be used on Desktop, Web and Mobile. 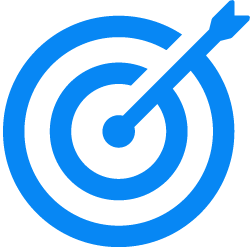 Manage your business targets related operations with Complete Clarity. MaxxERP is a secured online targets management application on cloud for small businesses too. Clear definition of goals & turnover targets of different entities for Yearly & Monthly basis. Quick copy option to copy targets from one entity to another. Option to increase / decrease target value between different months. Option to define targets on Parent Group Level / as well as for bottom most individual entity. Graphical Target verses Actual Variation Dashboard Report to analyze performance. Alerts / Reports / Dashboard for Sales Person users to verify their actual against the target of the month.